HMSI has launched the X-Blade ABS variant in India, priced at INR 87,776. The non-ABS version of the Honda X-Blade retails at INR 79,768 (both the prices are ex-showroom Delhi). The Honda X-Blade features a single-channel ABS unit, along with a rear drum brake. The new Honda X-Blade model features a single-channel ABS unit. Braking is aided by 276 mm disc up front, while the rear features a conventional 130 mm drum brake setup. The X-Blade has been exclusively designed for the young motorcycle enthusiast looking for style and performance in their daily commuting. The X-Blade now comes equipped with ABS which will enhance rider’s confidence. Sporty style is at the core of new X-Blade and appreciating the ethos of sports, Honda is also presenting the X-Blade to the most stylish player in each city leg of the Vivo Pro Kabaddi league 2018. The Honda X-Blade ABS model has been updated with features like an engine belly cover, front forks cover, and wheel rim stripes. The X-Blade is available in five colours - Matte Marvel Blue Metallic, Pearl Spartan Red, Matte Frozen Silver Metallic, Pearl Igneous Black, and Matte Marshal Green Metallic. The Honda X-Blade ABS employs a 162.7 cc, air-cooled HET motor, which is capable of producing 13.9 hp and 13.9 Nm, coupled to a five-speed gearbox. The engine is tuned to offer better low-end and mid-range performance. 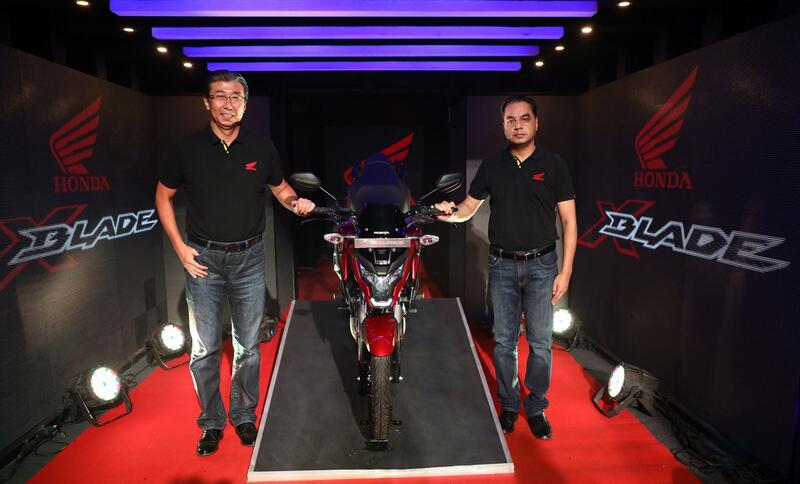 Apart from the CB Hornet 160R, the Honda X-Blade is the only offering in its segment to feature LED headlight. The X-Blade features full-LED headlamp and taillight, digital instrument console, long and comfortable seat and a hazard switch. 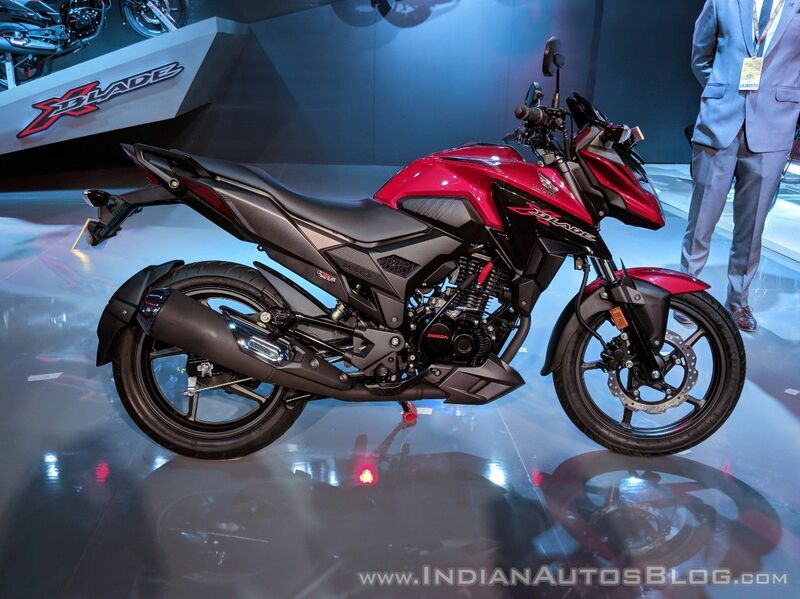 The X-Blade ABS rivals the Suzuki Gixxer ABS (priced at INR 87,871) and the Hero Xtreme 200R, which retails at INR 89,900 (both the prices are ex-showroom Delhi).